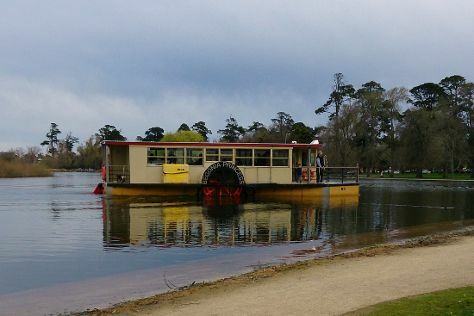 Step off the beaten path and head to Lake Wendouree and Ballarat Wildlife Park. You'll find plenty of places to visit near Melbourne: Eastern Beach Reserve (in Geelong), Daylesford (Wombat Hill Botanical Gardens & Lake Daylesford) and Ballarat (Ballarat Botanical Gardens, Ballarat Railway Station, & more). Spend the 5th (Wed) on a tasty journey with a beer tour and tasting. Next up on the itinerary: enjoy the sand and surf at Bells Beach, take your sightseeing to a higher altitude at Dandenong Ranges National Park, find something for the whole family at A Maze'N Things, and relax and rejuvenate at some of the best spas. For traveler tips, maps, other places to visit, and other tourist information, refer to the Melbourne day trip website . If you are flying in from Singapore, the closest major airport is Melbourne International Airport. In May in Melbourne, expect temperatures between 20°C during the day and 9°C at night. Finish your sightseeing early on the 7th (Fri) so you can travel back home.